The number and biomass of rotifers in large eutrophic lakes is small in winter, reaches a maximum in spring or summer and decreases to a winter minimum. 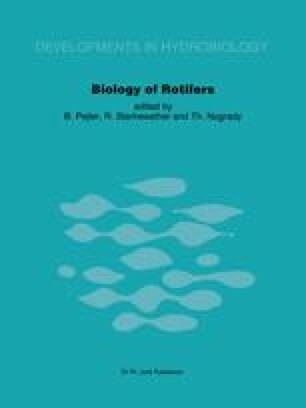 The dynamics of rotifer participation as part of total zooplankton is opposite to their absolute number: the role of rotifers in zooplankton is great in winter, starts decreasing in spring, reaches a minimum in summer and increases again to its winter maximum. The number and biomass of rotifers is proportional to the trophy of the waterbody, but in the case of some species this correlation is inverse.